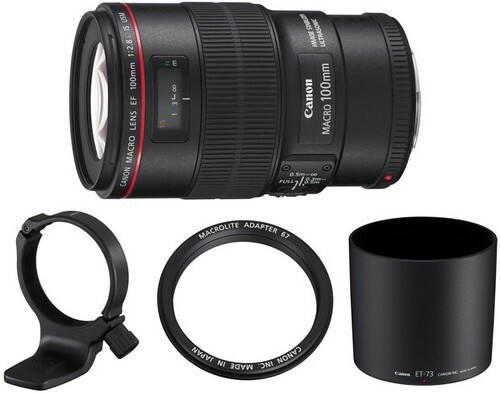 The Canon 100mm f2.8 L macro lens was announced on Sep 01, 2009. The weight of the lens is 22.0 oz. / 625g, while dimensions (diameter x length) are 3.1 x 4.8 in. / 77.7 x 123mm. The 100/2.8L macro also features a ring-type USM, which allows for full-time manual override of the focus. This makes it easier to manually focus the lens by just grabbing the focusing ring and turning it (for instance, during video capture on the T3i / 550D, 60D, 7D or Canon 5D Mark II) without having to first slide the focus switch on the lens from AF to MF. ANITIX87 posts a set of Canon 100mm L Macro vs Canon 85mm f/1.8 photo samples comparing bokeh and sharpness. View these outstanding full-resolution 100/2.8L IS USM macro photos by Kuba at zowsik.com. The link to the full-sized samples can be found under each image. Camera used was the 5D Mark II. Penguin swimming in the water. Use your browser’s search function to find the string “100mm” to quickly jump to the relevant thumbnails in the article. Full-resolution Canon EF 100mm f2.8L IS USM macro photos at DC Watch (Google’s English translation) — The Canon 5D Mark II was used to snap these gorgeous images. 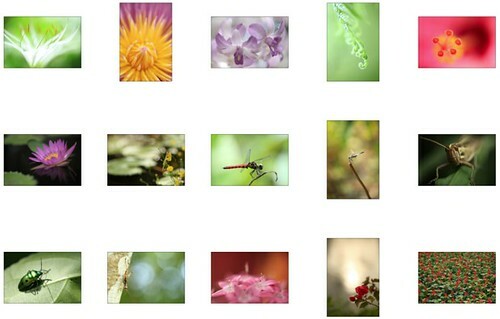 At the Brooklyn Botanical Gardens — This gallery of flora / fauna / nature photos by Denton Taylor consists of web-sized images. Be sure to click on the Original link under the image for the best possible quality. Not a lens test by any means! But I picked up this lens Friday at Adorama and went shooting today. I’m not a huge macro photographer either. But my first impression is that sharpness is outstanding and color rendition, ditto. The filter thread size on the 100mm IS USM macro is 67mm, which means you’ll want to be looking at 67mm filters. … the EF 100mm f/2.8L Macro IS USM supports a full range of accessories including: Tripod Mount D, Macro Lite adaptor 67, Lens Hood ET-73 and EF12 II and EF25 II extension tubes. The tripod mount attaches to the lens without the need for an adaptor enabling quick portrait or landscape switching without having to reframe the camera. Speedlites MR-14EX and MT-24EX can be attached using the MacroLite adaptor. Official Canon 100mm f/2.8L IS USM Macro page at Canon USA — Specifications, full description, MTF charts, technical details and other data. Canon Lenses – Main page.